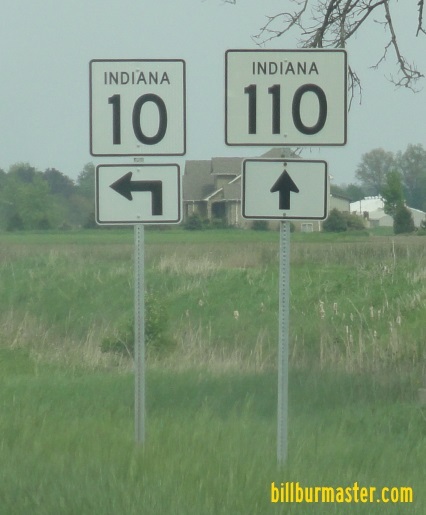 Indiana State Route 110 is a short connector route between IN St Rt 10 and U.S. Rt. 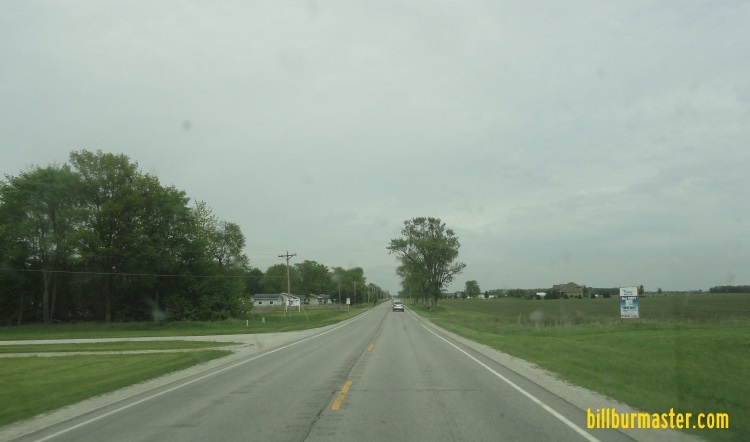 231 in Jasper County. This route is aprox. 2 1/2 miles long. 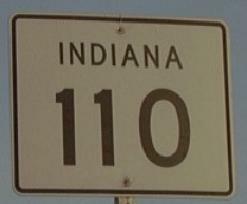 IN St Rt 110 does not pass through any towns. 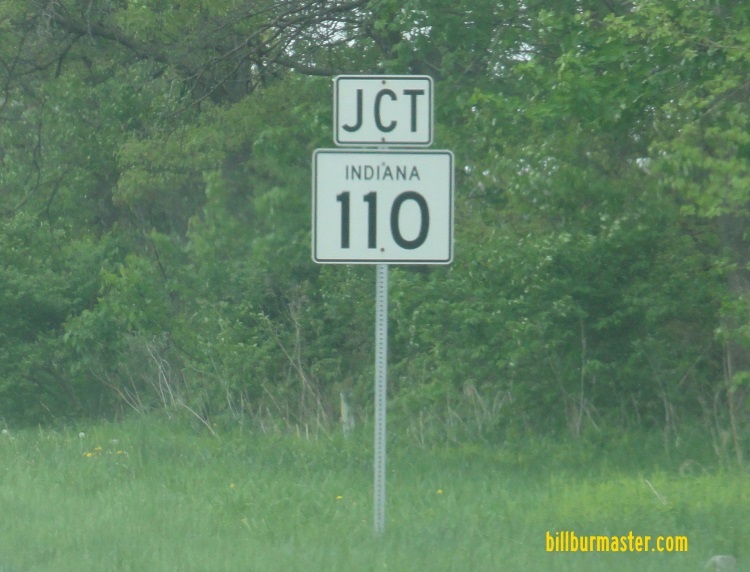 IN St Rt 110 is not multi-plexed in Japser County. 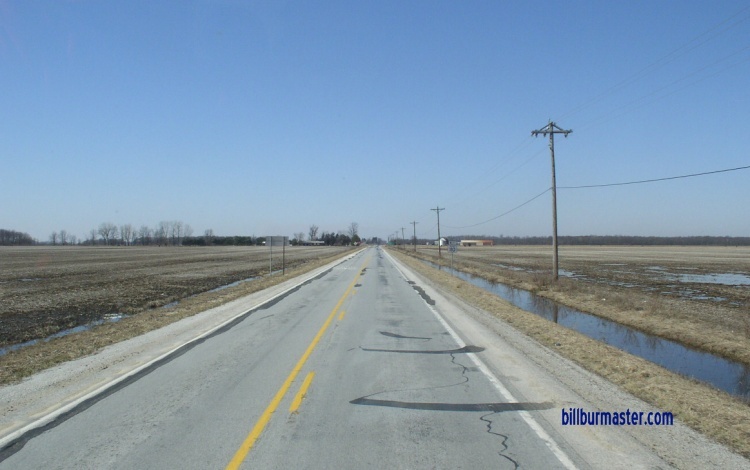 IN St Rt 110 intersects the following highways in Jasper County. U.S. Rt. 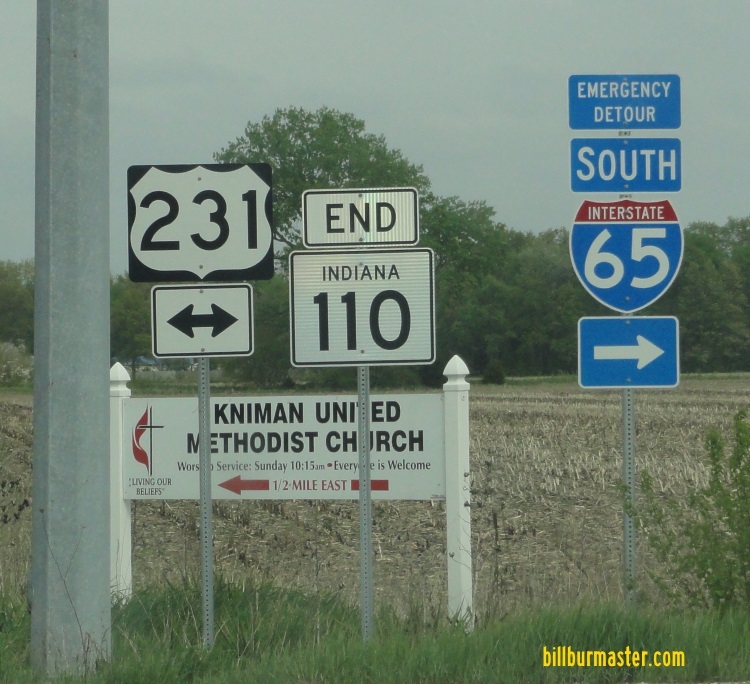 231 near Kniman. 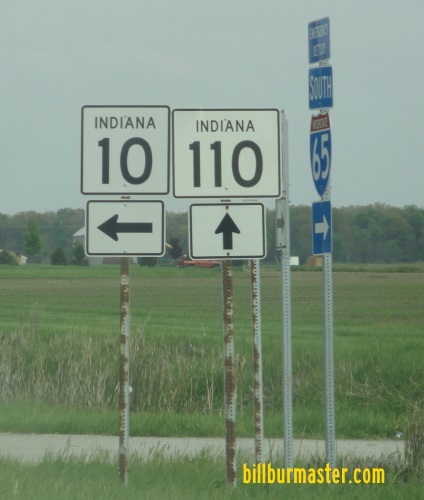 Indiana State Route 10 near Demotte. 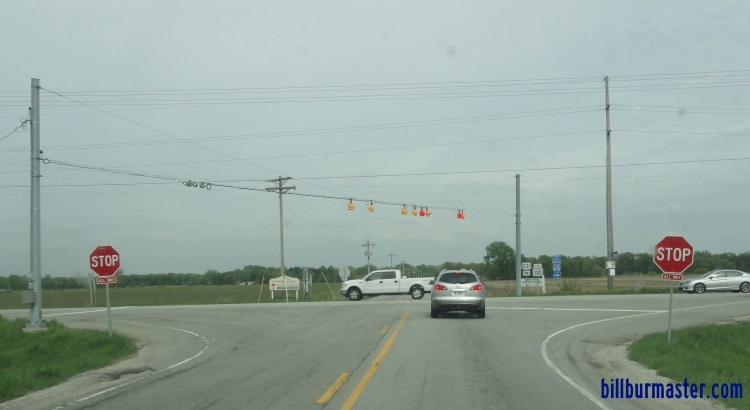 A junction marker on SB U.S. Rt. 231. 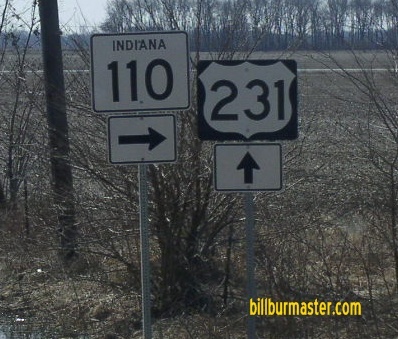 The eastern end of IN St Rt 110. 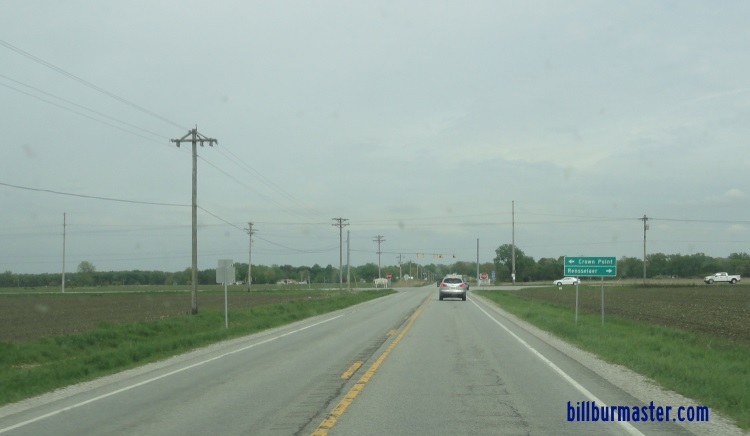 WB IN St Rt 110 near U.S. Rt. 231. EB IN St Rt 110 west of U.S. Rt. 231. 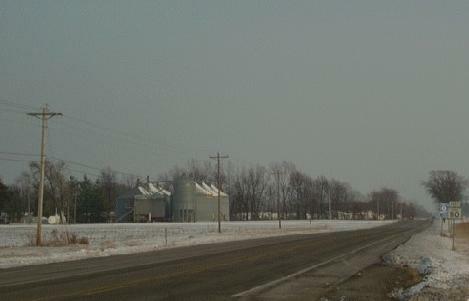 Looking east down IN St Rt 110 at IN St Rt 10. 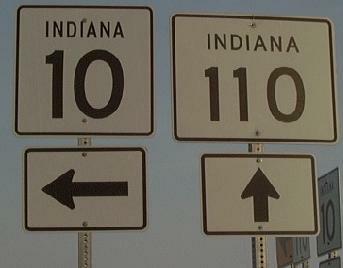 EB IN St Rt 110 east of IN St Rt 10. 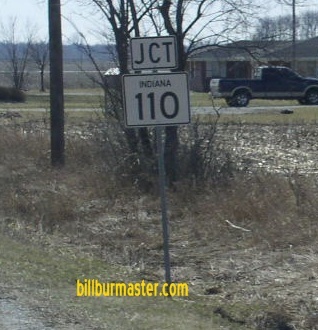 A junction marker on EB IN St Rt 10.